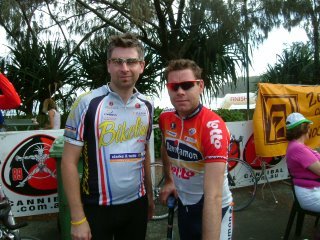 At the 2005 Noosa Multi Sport Festival Bron and Brady were able to to ride with Robbie McEwan (3 time Tour de France Green Jersey Winner) and Cadel Evans (2005 GC 8th overall Tour de France) of the Davitamon Lotto Team. 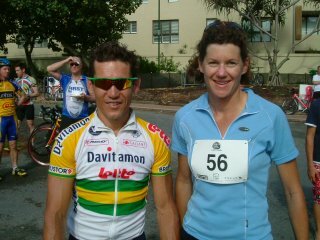 They rode the Noosa Triathlon Course with the pros and had breakfast with them afterwards. Check out the photos.